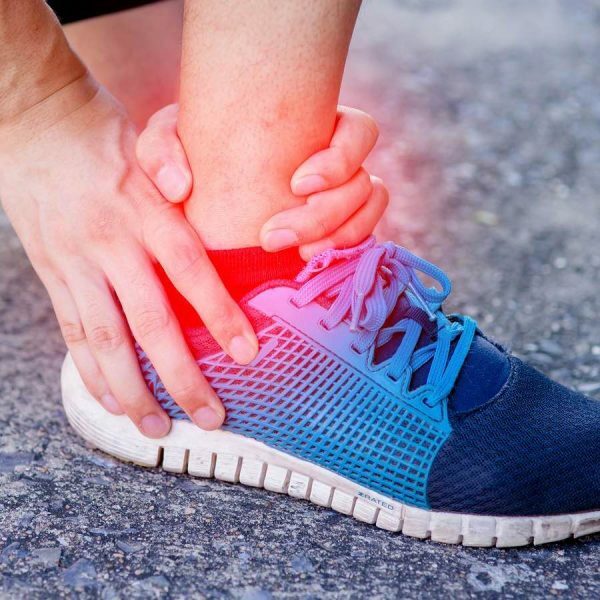 The purpose of this study was to examine the effect of the Mulligan Concept (MC) Mobilization with movement (MWM) in the treatment of clinically diagnosed acute lateral ankle sprains in competitive athletes. A prospective case series of 5 adolescent patients, ages ranging from 14 to 18 years (mean = 15.8 ± 1.64), that suffered an acute lateral ankle sprain (LAS) was performed. Patients were treated with the MC lateral ankle MWM. Mobilization was directed at the distal fibula or, using a modified MWM, 2–3 inches proximal to the distal fibula. Using paired t-tests and descriptive statistics (mean and standard deviation) results were analyzed. Treatment lasted an average of 9 days (mean = 9.2, ±SD 3.96) from intake to discharge. During that time frame, patients reported decreases in pain on the numeric pain rating scale (NRS), disability on the Disablement in the Physically Active (DPA) scale and an increase in function on the patient-specific functional scale (PSFS); and an immediate decrease in pain on the NRS within the first treatment. The minimal detectable change for the PSFS and NRS were exceeded from intake to discharge. Additionally, the minimally clinical important differences were exceeded on the NRS and DPA scale. The evidence presented in this Level-4 case series supports the use of the MC lateral ankle MWM to treat patients diagnosed with acute grade II LAS. Patients in this case series reported immediate decreases in pain and immediate increases in function. Therefore, further investigation of the MC lateral ankle MWM is warranted. Hudson R, et al. JMMT 2017 [Epub ahead of print].